Well-designed logistics automation for warehousing can make the difference between profit and loss. 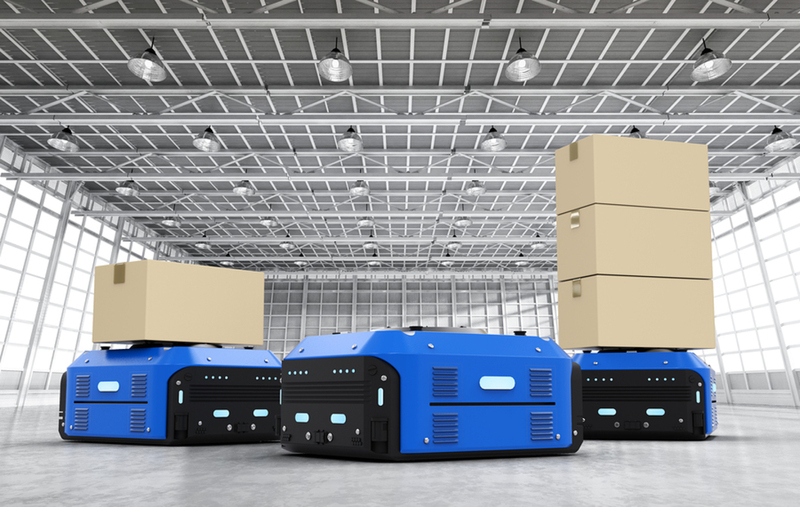 The right automation system can make warehouse operations more efficient, save companies money in labor costs, and allow customers to get products shipped to them faster than ever before. Companies that ship in larger volumes need to consider that even if the improvements brought about by automation are small, they can lead to significant savings when multiplied over thousands of transactions. While warehouse automation may work best in brand new warehouses where the layout can be planned and implemented from the ground up, existing warehouses can also automate part or all of their storage, picking and packing processes and achieve savings—eventually. One thing holding up more companies from logistics automation for warehousing is the significant initial investment in equipment. Automation requires conveyor belts, machines, and lots and lots of software—and it takes about five years for that investment to pay for itself and begin saving the company money. But more and more companies are seeing the benefits of automation, and are taking the plunge. Most people think of automation in terms of automatic scanning of barcodes for inventory purposes or robots picking products that customers order, but these are only a few of the processes that can be automated to improve the company’s shipping operation. More companies are seeing the benefits of automating warehouse operations. Cartonization is the process of using data about an online order to choose the optimal size package for the order. If a smaller package can be used, it will reduce the raw materials needed to make the package, which will be less costly when companies ship thousands of packages every week, month or year. Automating the process of determining the weight of each package, called dimensional weight capture, can be another potential money-saver for companies. By knowing and using the exact weight of each package, lower shipping rates can often be used for cost savings. Printing and applying shipping labels to packages automatically is 5 to 10 times faster than when it is done manually. Certainly, this type of optimization will save money and speed up the shipping process for companies, allowing them to get more done in less time. Pack automation is likewise 5 to 6 times faster than manual packing, and it allows warehouse workers to complete three to four orders per minute with automated in-package documentation. Accuracy is likewise increased using an automated process as well. Companies like Amazon have begun to use automated processes to keep up with an increasing volume of orders as well as deal with chronic worker shortages and demands for higher wages for those workers they still need. An effective automated process has enabled many companies to fill orders with ever shorter processing times to satisfy consumer demand. Up next: Application of RFID technology in logistics. Florida Tech offers a logistics master degree program that puts students on the cutting edge of logistics management, including warehouse automation. Learn more about our Logistics Management program today.